Benefits of Nonwoven. Process of making. Nonwoven material is a web or sheet of PP fibres bonded together by entangling the fibre or filament mechanically. They are flat, porous sheet that are made directly from separate fibres. This are not made by weaving or knitting and do not require conversion of fibres to yarn. Following are some important feacheres of Nonwoven compared to other plastic sheet. Ventilation, filtration, insulation, water absorbency, water proofing, flexibility and easily disposable. Following are the industry where Nonwoven is used in large volume world wide. 1) Health and Hygiene. It is advisable to use Nonwoven fabric in Medical in place of cotton fabric or other fabric as it provides protection from bacteria and prevent spread of diseases. Products. Face mask, Bedsheets, surgen gown, patient dress. 2) Packaging. Now a days Nonwoven is playing very important role in packaging. If compared with other plastic sheet Nonwoven have different properties availability like it is breathable, it can be made water resistant and water absorbent, it can maintain temperature. Nonwoven can be made easily through machine and it can replace use of other plastic sheet, paper products or other fabric used in packaging. 3) Agriculture. Our Government is promoting use of Nonwoven in Agriculture. It gives protection from insects, Frost, maintain temperature and reduce time to get the final crop. Our farmers getting export quality crop after applying Nonwoven at farms and crop can be done at most of the places having different climatic conditions. 4) Construction. Nonwoven is used in geotextiles worldwide. It helps to stabilize ground and gives protection from land slide and soil erosion because of water force. Conclusion. Nonwoven fabric promote a greener earth because it is reusable, easy to clean, easy to dispose, recyclable and can be made from recycled products. Nonwoven gives easy access to pass air and water and dose not chock air or water. It is made from fibres which gets dissolved easily In environment in very short time. 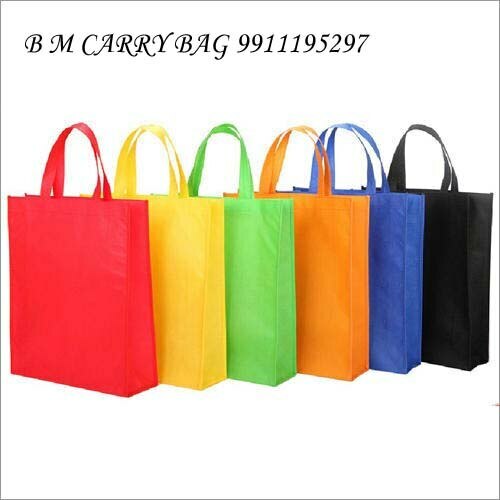 It is economical and can fullfil demand of industry where paper or other plastic sheet and fabric is used which can not be used repetitively.